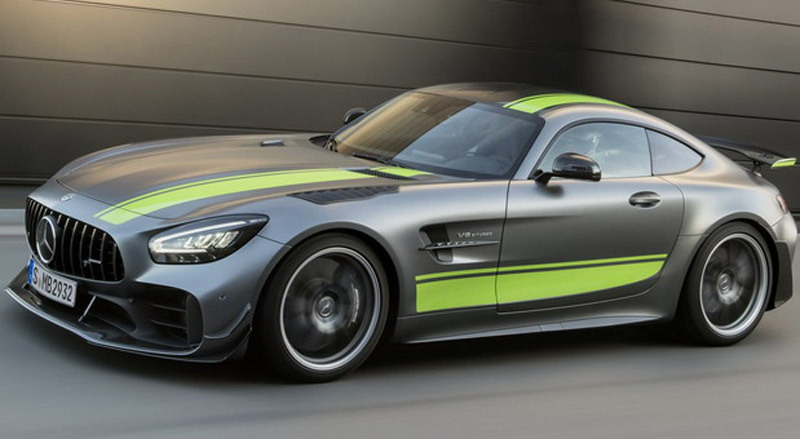 As recently announced, Mercedes-AMG used this year’s auto show in Los Angeles to promote a new version of the GT family. 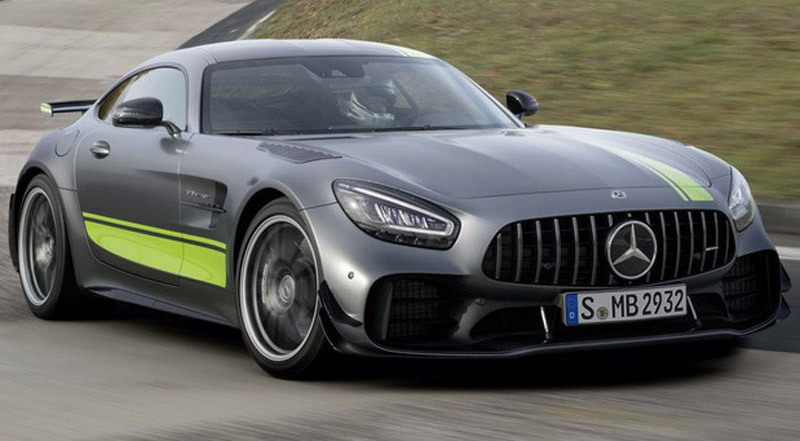 This is the Mercedes-AMG GT R Pro, based on the GT R model, with the GT3 and GT4 experience being also used in terms of changes related to suspension, weight reduction, aerodynamics and layout. 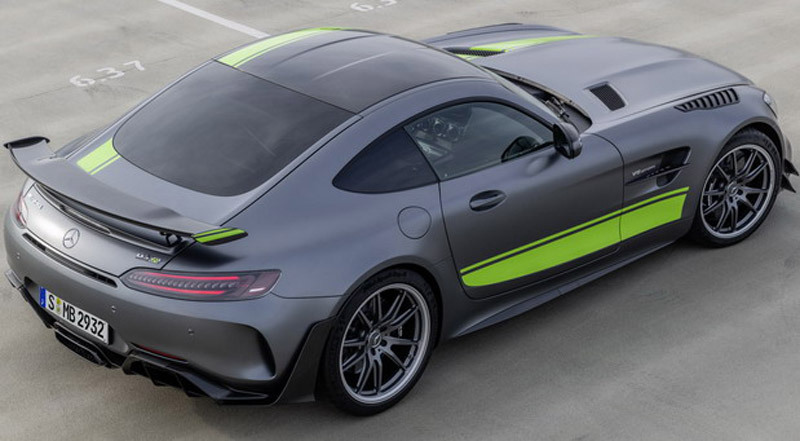 The package includes an improved aerodynamic package (front spoiler, rear spoiler, rear diffuser …), carbon fiber mirrors, lightweight AMG Performance wheels in titanium gray edition, ceramic-composite brakes, sturdy suspension and improved steering. 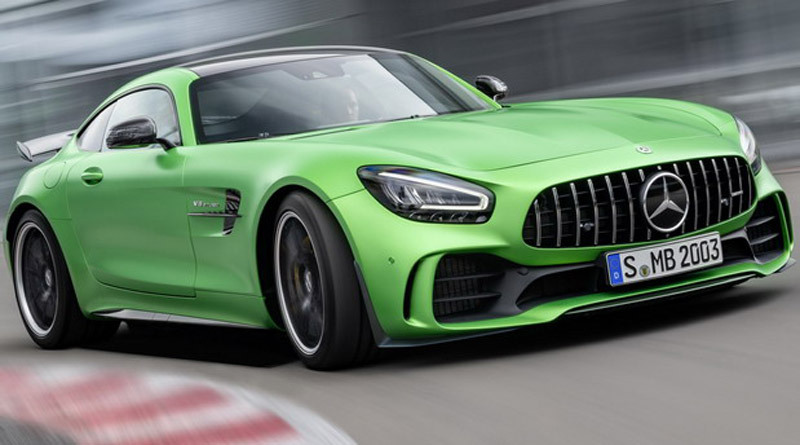 The engine is a 4.0-liter twin-turbo V8 with a 577 hp, and it should be said that the prototype of this car passed Nürburgring track for 7: 04.632 minutes. 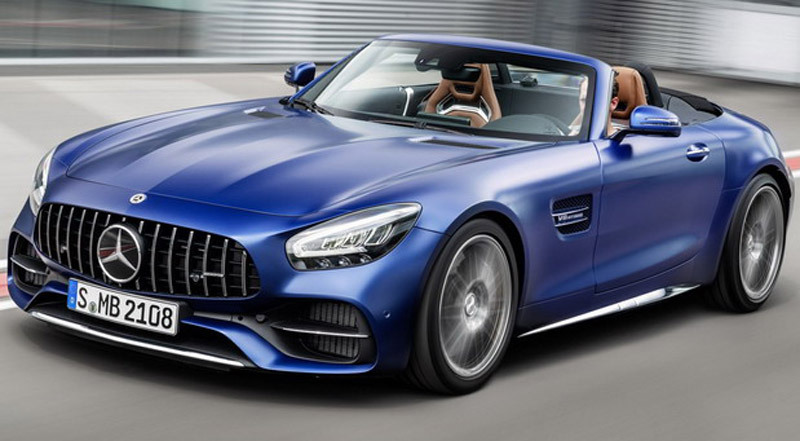 In the end, for the new model season, the other versions of the Mercedes-AMG GT are also slightly trimmed. 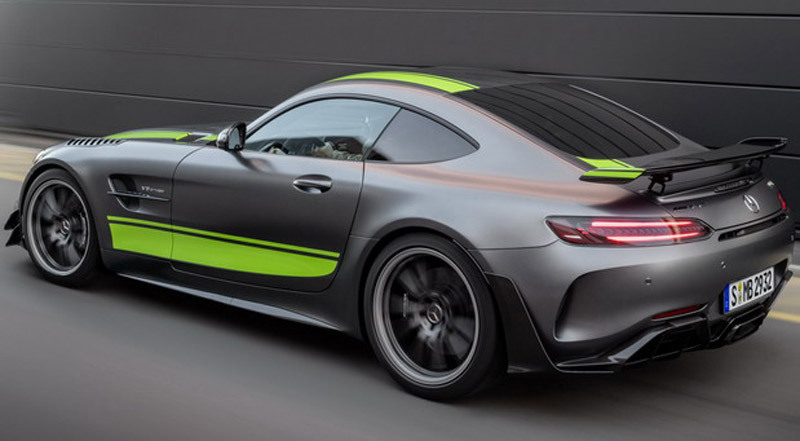 The visual changes concern the LED headlamps and mask, a different rear diffuser, modified exhaust pipes, new alloy wheels, and a 12.3-inch digital instrument table and a new steering wheel (AMG GT received the same AMG steering wheel as the AMG GT 4-door Coupe, with a flattened bottom part and coated with Nappa leather and microfiber). 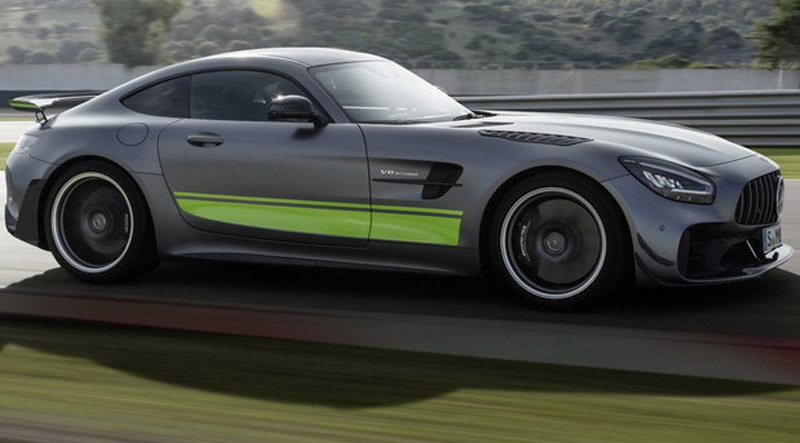 Also, the car now has a new mode of driving called AMG DYNAMICS. 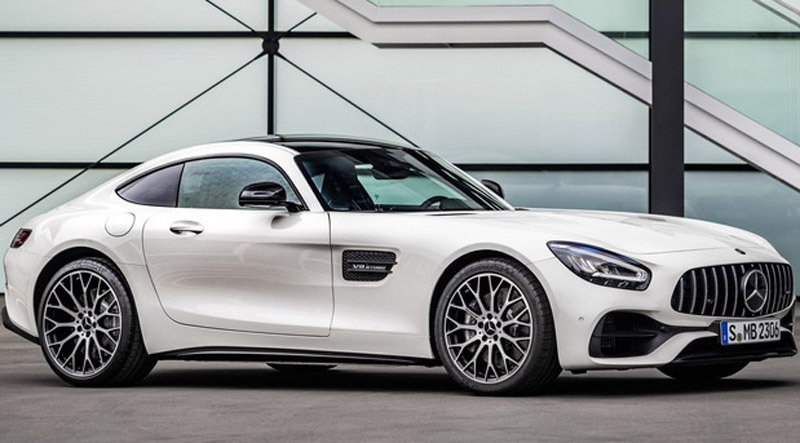 Mercedes-AMG GT has 469 hp, the Mercedes-AMG GT C features 550 hp and Mercedes-AMG GT R has 577 hp.